As an agency, we have also achieved HubSpot certification and Partner Certification. 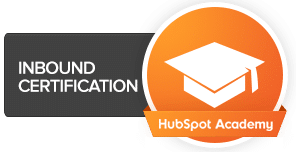 The first qualification demonstrates our knowledge of the HubSpot platform and our ability to use this expertise to achieve optimal results for Inbound marketing and marketing automation. 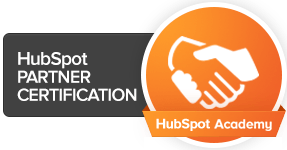 The HubSpot Partner Certification recognises the fact that we know how to effectively plan and build our inbound operations, market and sell our inbound services, as well as deliver on those services to delight our clients. These qualifications don’t just benefit our clients that use HubSpot: we make use of the training and skills we gain on the HubSpot platform when helping clients using Marketo, Pardot, Act-On and other marketing automation platforms. Congratulations to the whole team for this great achievement!